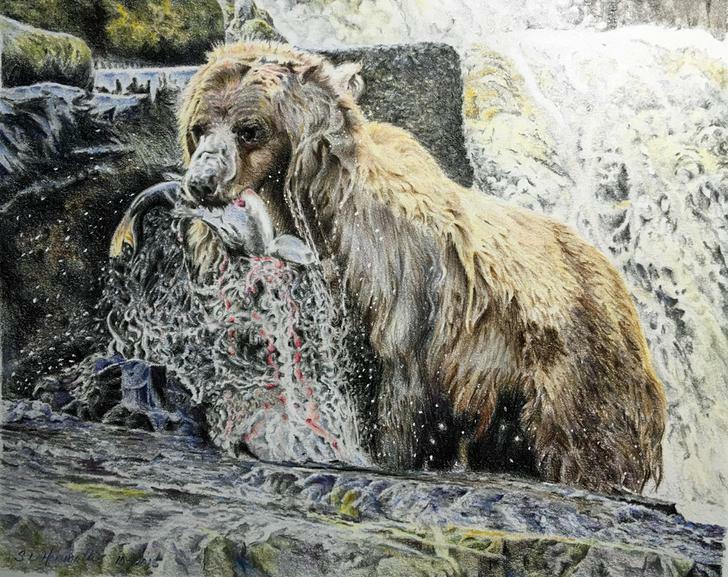 Sue plunged into colored pencils in 2015 to celebrate the freedom of retirement. It’s a medium that is exploding with possibilities and so little time to pursue them all, but it’s fun trying. 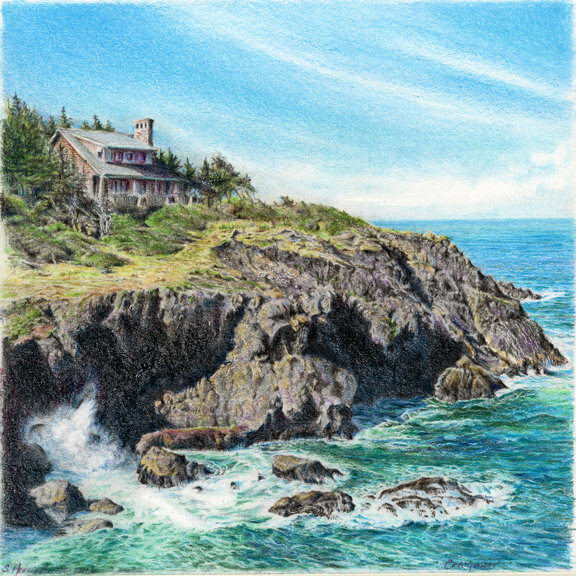 Her favorite subjects to paint are Seaside Landscapes, Critters from SE Alaska, and anything that captures her attention. 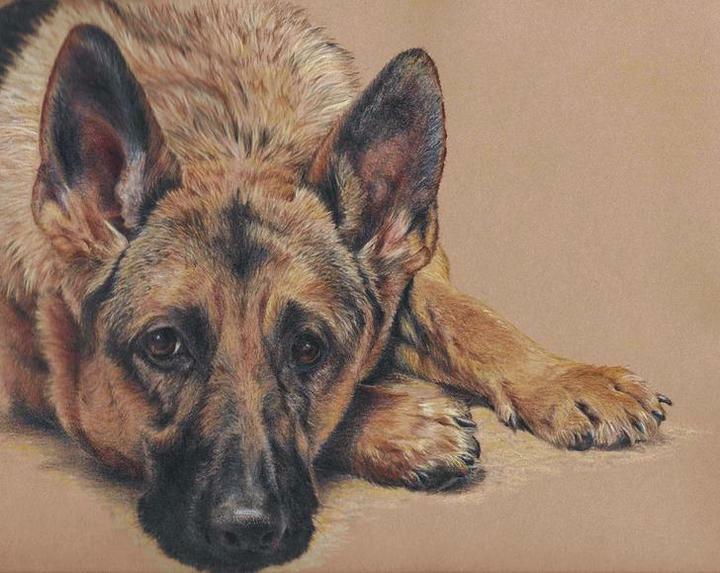 she have also done several pet portraits for friends and find that very satisfying. the ones here are pieces of personal sized art. Next challenge for me is to work on a larger scale.